This past month, Lifewater International was recognized as a GuideStar Platinum charity. This means you can rest even easier knowing we are a trustworthy nonprofit making a real difference. GuideStar USA is the world’s largest information service focusing on nonprofit organizations. GuideStar strives to strengthen the nonprofit sector by providing better data for better decision-making that ultimately helps to create a better world. It provides current, authoritative data, including tax information that allows for transparency. Support the mission of a Christian GuideStar Platinum nonprofit now. How does GuideStar Platinum status make Lifewater a trustworthy nonprofit? Platinum is the highest level of recognition achievable through GuideStar. Because we have consistently shared the progress, results and reporting systems for our programs with GuideStar, Lifewater was awarded with the Platinum Seal of Transparency. Having access to this data gives you the assurance you need to know that we are serious about real change, and that we are being good stewards. You can read more about our commitment to financial accountability here. “Lifewater is a nonprofit I trust and love. Everything from their communication with donors to their work on the field is top notch. I feel confident that every dollar I’ve donated has had an effective and well-managed impact that brings real change!” – Danielle W.
Since 1977, Lifewater has served more than 2.5 million people in 40 countries. Today, more than 100,000 people are participating in our Vision of a Healthy Village in Uganda, Ethiopia and Cambodia. 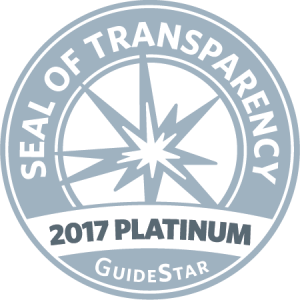 As our GuideStar Platinum Seal of Transparency shows, we have continued to refine and improve our work to bring real and lasting change to those we serve.